Fierce Festival | PERMUTATIONS IN THE CITY Intensive Choreographic Workshop with Neil Callaghan & Simone Kenyon!!! PERMUTATIONS IN THE CITY Intensive Choreographic Workshop with Neil Callaghan & Simone Kenyon!!! Neil and Simone are developing a new work for this years Fierce Festival which will be a series of performances around the city! The workshop will explore approaches to creating the work and will offer you the chance to devise and explore creating choreographic responses to sites. Participants from the workshop will have the opportunity to perform in the final work ‘Permutations in the city’ two weeks later as part of Fierce Festival!!! This 2 day intensive workshop will introduce aspects of Neil and Simone’s recent works and approaches to making duet material. The days will include physical warm ups, structured explorations of finding ways to move together collectively and in duets and exploring how site related work is developed and taken out of the studio. 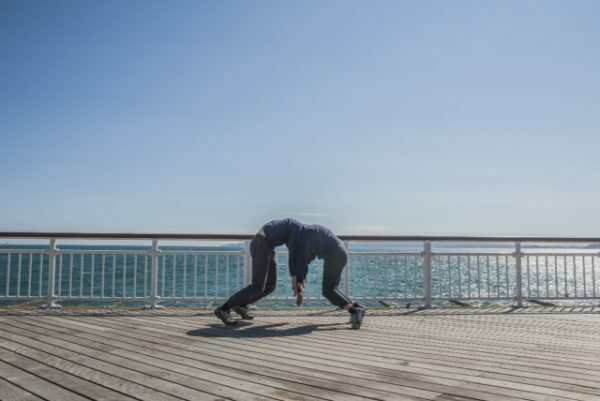 The workshop is open to performers, dancers and artists who have an interest in exploring physical, durational work and who have a sensitivity to performing in a variety of sites and environments. Participants must be interested and prepared to work outdoors, in a variety of conditions including the changing weather of Birmingham in September/October. The workshop will take place in the studio and outside in public spaces. Neil Callaghan & Simone Kenyon have been a partnership for the last nine years. They make work that moves between dance, theatre and visual art. Their work takes place in studios as well as work for sites and journies through landscapes. Their work takes many forms but at its heart is a deep interest in our physical relationships to each other and the places we live. Recent works include Someone Something Someone which has been presented in various contexts and sites including the Hayward Gallery London and toured in China this summer. Previous: A cold front blows in…. Next: New Addition to Team Fierce! !